South Bay will maintain a frequent presence around Edison Elementary throughout the year, for both basketball and education. The South Bay Lakers will provide tickets to their home games and also hold basketball clinics for students. Meanwhile, they will also participate in reading programs and organize a service day to beautify the school. 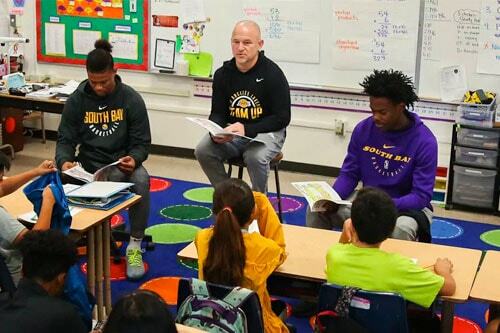 The South Bay Lakers began their yearlong relationship with Torrance’s Edison Elementary, as players and staff took over the school for a morning. 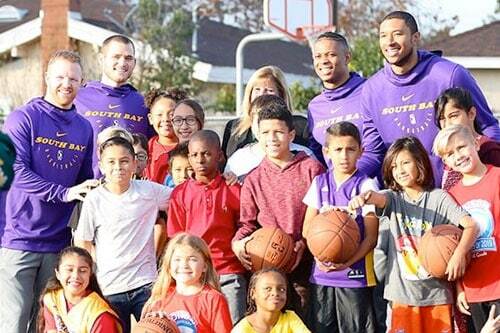 Players shot hoops with kids, served as crossing guards, handed out snacks and more.